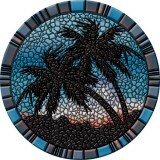 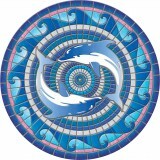 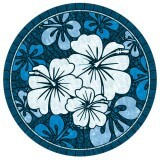 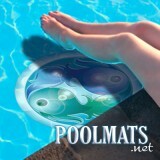 Vinyl pool emblems feature bright colorful mosaic images that last for several seasons in the sun. 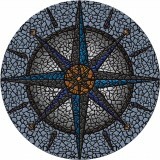 Choose from a wide variety of images for all seasons, interests and design preferences. 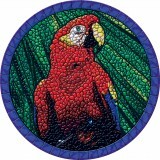 Pool medallions are removeable and require no adhesive or installation. 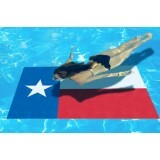 Simply drop large pool art into the pool and let it sink to the bottom. 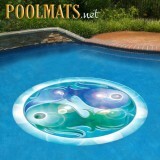 Decorate your swimming pool with a unique design idea. 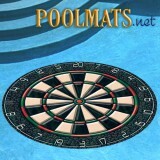 Made of 1/8" thick vinyl (the same material used in vinyl pool liners) and held in place by the weight of the material and gravity of the water. 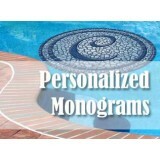 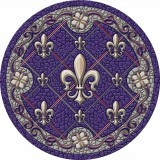 Pool mosaic images add style and design to the pool while providing a removable and cost effective decoration. 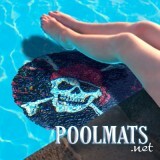 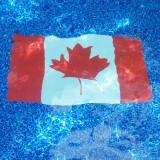 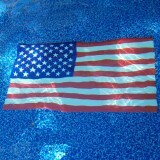 Use pool decal mats at pool parties, corporate events, all year long, indoor or outdoor swimming pools. 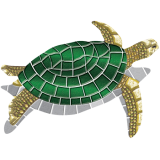 Decorative pool art can be used cover unsightly pool stains and rust spots rather than pay for expensive paint jobs or cosmetic repairs. 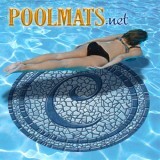 Affordable accessory for all types of pools including concrete pools, vinyl pools, above ground pools, inground pools, gunite pools and fiberglass. 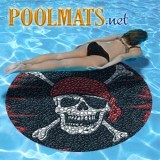 Compatible with automatic pool cleaners and resistant to pool chemicals and strong UV rays. 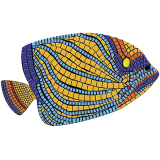 Pool mosaics should not be placed on an incline or rough surface as air bubbles underneath the material will cause pool art to shift.